Arts / Visual Art Is the gallery show dead? I used to work in an art gallery in La Jolla, California—a ritzy little ocean enclave just north of San Diego. You couldn't throw a rock without hitting a Porsche. There were no stores, only boutiques, and none of them seemed to sell anything that cost less than $300. La Jolla is littered with luxury in the way that liquor stores overrun areas of urban blight. That's something you'd think would bode well for an art gallery. Anyone blithely carrying a dog the size of a squirrel in a bag that cost more than my car has money to spend on art, right? Actually I wish there had been crickets. I could've used the company—and their chirping would've been a welcome break from the silence. As it was, my closest confidant at the gallery was the scanner. The two of us worked hand-in-hand, if you'll pardon the phrase, creating images and sending them off to faceless clients—or, more often, to the faceless assistants of faceless clients. Then we'd wait, breath bated, for the e-mail relaying if the boss of the assistant had liked the image of the artwork that we'd sent. It was like selling art in Plato's cave. Of course, we did have openings. All the galleries in the area scheduled them on the same night so as to make it a social event. Hardly anyone even looked at the art, let alone asked about it. So I'd stand alone in the corner, pouring chardonnay, careful to never look at anyone directly lest the blinding whiteness of their teeth rob me of my sight, and wait for them to move on to the next show like a well-groomed zombie herd. In the art world, there is a name for these kind of people—the champagne crowd. They will come to your openings, they will eat your cheese, but it is a truth universally acknowledged that they will not buy your art. So when New York magazine art critic Jerry Saltz wrote an article last week entitled "Death of the Gallery Show," I wondered if Chicago gallerists and artists would think that was a bad thing. Galleries are a business, after all, and if art doesn't sell through shows, what's the point of having them? As in most areas of commerce, energy is shifting from brick and mortar institutions to online sales. And many art dealers admit, as Saltz writes in his article, that "collectors never set foot in their actual physical spaces." So why maintain those spaces? Why pay skyrocketing rents for the privilege of playing host to the occasional bored tourist and bimonthly gathering of drunken socialites? Here's why, from Claire Molek, cofounder and director of Hauser Gallery: "Galleries are essential to our practice in that they exist as a social space where we can go to share our ideas face to face. That kind of exchange is paramount to any progress in the landscape." And here's why, from Chicago-based allegorical realist painter Rory Coyne: "Gallery openings are a celebration of a completed body of work, the introduction of an artist, or a grouping of artists you might not normally see together under the same roof. And I personally love having an opening because it means I've made the deadline. Therefore I try to make an event of it—because the work deserves that kind of attention." From Sergio Gomez, artist and director of exhibitions at Zhou B Art Center: "One day I got a call from a lady asking what (refreshments) we'd be serving at the opening that night. After that, I said no more. It's been three years since I've served anything other than art. A lot of the people that used to come to eat were my regulars, now they've become other galleries' regulars. But the truth is that now we have a lot more people than when we gave away food. It's a more supportive crowd." And from my own standpoint, despite the experience I had in La Jolla, I have a intense sentimental attachment to galleries. I grew up in them — or rather, grew up being dragged kicking and screaming into them, by my father, who's a sculptor. Throughout his career, he's maintained a symbiotic relationship with the work of other artists. The time he spends in galleries, looking at other work, is just as important as the time he spends in his studio thinking about his own. Art is a dialogue, a process of call and response, and galleries are an important way for artists to interact with other working artists. They're places where, as Saltz writes in his article, artists can go to "commune with the group mind." That's something that extends to nonartists as well. As a child I was miserable in galleries, surrounded by objects that I'd been admonished not to touch. But being exposed to work and, more importantly, the people who created it, I think I came to understand from a very young age why it is that people starve and suffer for their art. Like Rory Coyne says, a gallery show is where you come into contact with a body of work and the artist who managed to finish it. That sense of immediacy and connection is powerful. Understanding the ways in which an artist's life is inextricably bound to an artist's work seems to reveal some sort of important fundamental truth of human nature. 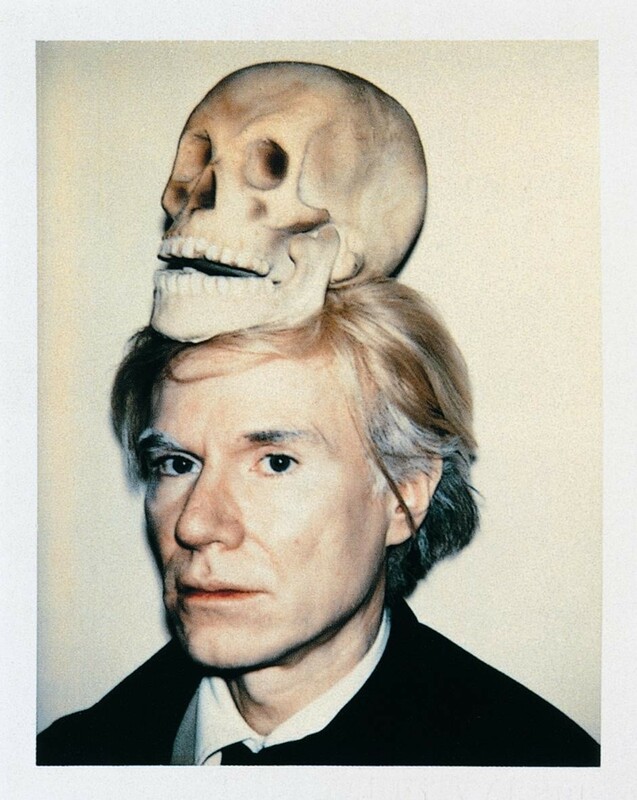 Warhol said that an artist is someone who produces things that people don't need to have. That's hard to argue with. I need water. I need to exhale after I inhale. But I don't need to have a painting on my wall. No one does. But a sense of connection, I believe, is something we all need. And art serves as a way to form those connections—to ourselves, to each other, and to the world. We need galleries for that. We need thoughtfully curated shows, the juxtaposition of wildly different points of view, and—most importantly—access to living, breathing, working artists. We need to see them standing next to their work, enjoying a well-deserved glass of wine. So let the champagne crowd toss back their bubbly and move on. And let the faceless collectors appraise pixelated shadows projected on the virtual wall. Galleries serve a larger purpose than sales. Beyond their role as a place where work is sold, they are physical spaces that help foster a culture of real, meaningful connection. They are, as Saltz writes, "social spaces, collective seances, and campfires where anyone can gather."